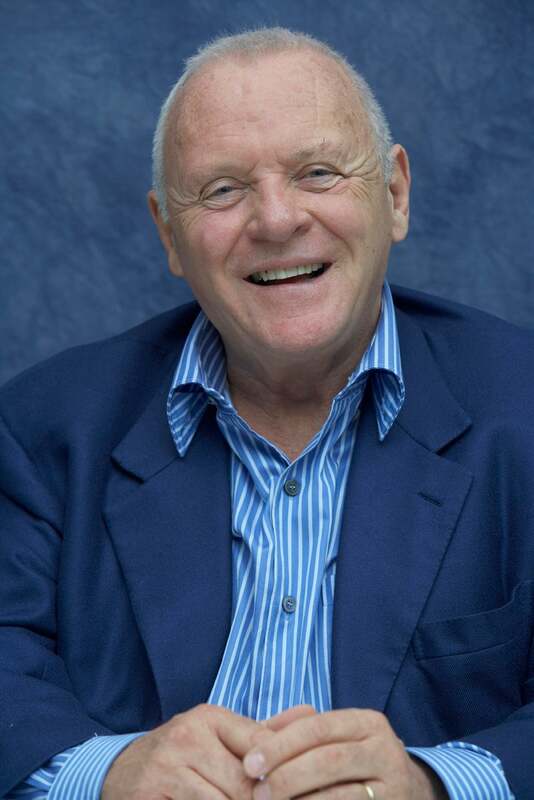 Anthony Hopkins to receive HFPA's Cecil B. deMille Award at 63rd Annual Golden Globe Awards. Hopkins received six Golden Globe® nominations; including four as Best Actor (Drama) for “Nixon” (1995), “The Remains of the Day” (1993), “The Silence of the Lambs” (1991), and “Magic” (1978). He received a Best Supporting Actor nomination for “Amistad” (1997) and a nomination as Best Actor in a Mini-Series or Motion Picture Made-for-Television for “The Tenth Man” (1988). In 1998, he starred in “Meet Joe Black,” directed by Martin Brest and “Instinct,” directed by Jon Turtletaub, and in “Titus,” Julie Taymor’s film adaptation of Shakespeare’s “Titus Andronicus” with Jessica Lange. In 1992 he appeared in “Howard’s End” and “Bram Stoker’s Dracula” before starring in “Legends of the Fall” and “The Road to Wellville.” He made his directorial debut in 1995 with “August,” an adaptation of Chekhov’s Uncle Vanya for which he composed the musical score and also played Vanya. He starred in the title role in “Surviving Picasso” and with Alec Baldwin in “The Edge,” a dramatic adventure written by David Mamet and directed by Lee Tamahori. “The Mask of Zorro,” directed by Martin Campbell and co-starring Antonio Banderas and Catherine Zeta-Jones, was released in July 1998, and “Amistad,” directed by Steven Spielberg, was released in December 1997. Earlier films include “84 Charing Cross Road,” “The Elephant Man,” “Magic,” and “A Bridge Too Far.” “The Bounty” and “Desperate Hours” were his first two collaborations with Dino De Laurentiis Company. In American television, he received two Emmy Awards for “The Lindbergh Kidnapping Case” (1976) in which he portrayed Bruno Hauptmann, and “The Bunker” (1981) in which he portrayed Adolf Hitler. Born December 31, 1937 in Margum near Port Talbot Wales, he is the only child of Muriel and Richard Hopkins. His father was a banker. He was educated at Cowbridge Grammar School. At 17, he wandered into a YMCA amateur theater production and knew immediately that he was in the right place. With newfound enthusiasm, combined with proficiency at the piano, he won a scholarship to the Welsh College of Music & Drama in Cardiff where he studied for two years (1955-1957). He entered the British Army in 1958 for mandatory training, spending most of the two-year tour of duty clerking the Royal Artillery unit at Bulford. In 1960, he was invited to audition for Sir Laurence Olivier, then director of the National Theater at the Old Vic. Two years later, Hopkins was Olivier’s understudy in Strindberg’s “Dance of Death.” Hopkins made his film debut in 1967, playing Richard the Lionheart in “The Lion in the Winter,” starring Peter O’Toole and Katherine Hepburn. He received a British Academy Award nomination. American television viewers discovered Hopkins in the 1973 ABC production of Leon Uris’ “QB VII,” the first American mini-series, in which he played the knighted Polish-born British physician Adam Kleno who is ultimately destroyed by his wartime past. The following year, he starred on Broadway in the National Theatre production of “Equus,” and later mounted another production of the play in Los Angeles where he lived for 10 years, working extensively in American films and television. Hopkins also appeared in the feature adaptation of Stephen King’s “Hearts In Atlantis” for director Scott Hicks, the action comedy “Bad Company,” co-starring Chris Rock, and the box-office hit prequel to “The Silence of the Lambs,” “Red Dragon,” co-starring Ed Norton, Ralph Fiennes and Emily Watson. Hopkins was recently seen in “The Human Stain” opposite Nicole Kidman, “Alexander” opposite Colin Farrell and Angelina Jolie, directed by Oliver Stone; and “Proof” co-starring Gwyneth Paltrow, directed by John Madden. Hopkins will next be seen in “The World’s Fastest Indian,” directed by Roger Donaldson and “All the King’s Men” with Jude Law, Sean Penn and Kate Winslet, directed by Steven Zaillian.